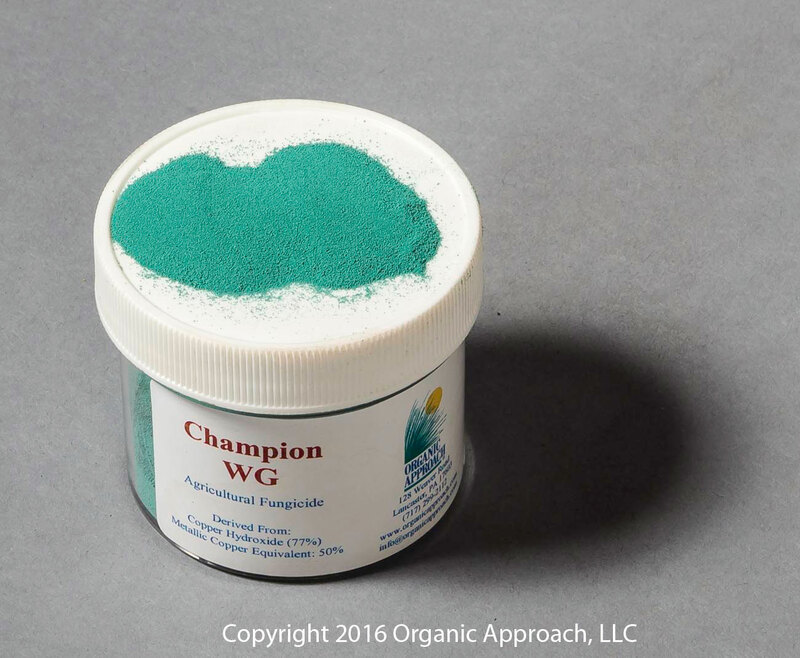 Champ WG is an effective copper hydroxide formulation that is cost effective, easy and efficient to use. As a water dispersible granule, this formulation provides surface area coverage and fungicidal protection. Champ WG won’t clog equipment and allows the applicator to cover more acres per day. 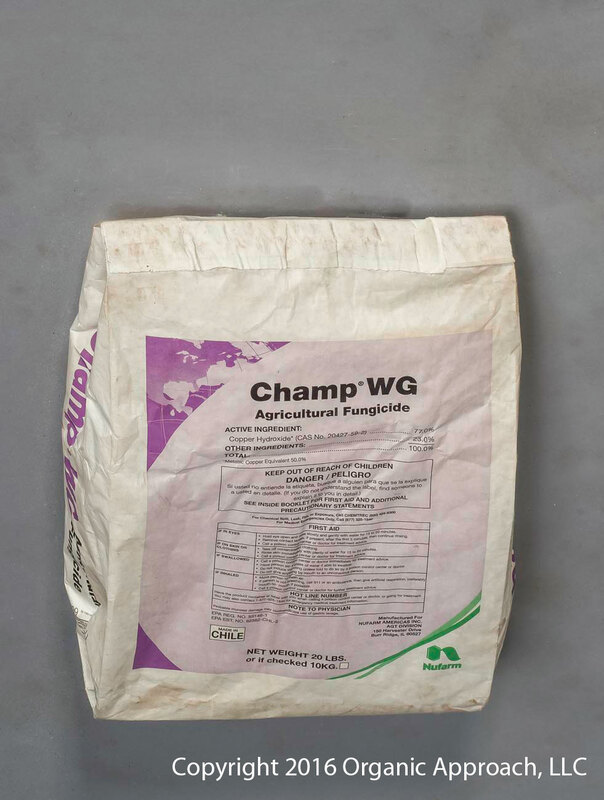 Champ products also offer some degree of frost injury protection, providing control of the ice nucleating bacteria Pseudomonas syringae, Erwina herbicicola and Pseudomonas fluorescens. Alternate use with Oxidate® helps prevent development of tolerant strains of bacteria and fungi. Typical usage is 1-4 lb./acre depending on crop. Shelf life is very long (essentially indefinite) if kept in a cool, dry location.